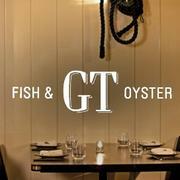 GT Fish & Oyster is looking for a server to join our growing team! Full time is preferred, but we do have a part time flexibility. The ideal candidate has been a server for 1 year minimum, has basic food and wine knowledge and is looking to grow with the Boka group. Candidate must have weekend availability. GT Fish & Oyster opened its doors in 2010. The seafood focused menu by Giuseppe Tentori is a combination of 50% modern dishes and 50% traditional dishes all served as sharable. The space, put together by renowned designers 555, was inspired by what principal Karen Herold calls “part James Bond’s yacht, part New England Cottage.” One of the most difficult reservations to get in Chicago, the 90 seat GT boasts a massive 22 seat bar, a “boomerang” table that seats 12 and a 4 seat oyster bar. 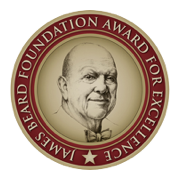 Giuseppe Tentori was named Chef of the Year for his work at GT Fish & Oyster by Chicago Social, and Chicago Tribune named GT Fish & Oyster one of the outstanding restaurants of 2012.